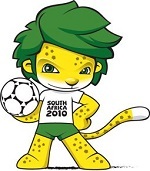 The nineteenth FIFA World Cup Finals were awarded to South Africa by the FIFA Executive Committee in Zürich on 15 May 2004. Having decided to awarded the World Cup to the African continent, South Africa (fourteen votes) beat rival bidder Morocco (ten votes) in the final round of votes. Libya's bid to co-host with Tunisia had been disqualified before the secret ballot due to the statute that FIFA would no longer accept shared hosting bids, and Egypt did not receive a single vote. 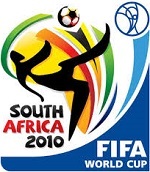 FIFA's World Cup 2010 Organising Committee divided the 32 qualifying teams into eight groups for the final tournament at the World Cup Final Draw, held on 4 December 2009 at the International Convention Centre in Cape Town, South Africa. 1 June: Fabio Capello announced his 23-man squad for the tournament after spending the afternoon breaking the bad news first to the seven players on the standby list. 2 June: Capello signed a new two-year contract with the FA and then flew out to Johannesburg with the squad, accompanied by David Beckham. 3 June: Following an eleven-hour flight, England arrived at their training base, the Royal Bafokeng Sports Campus at Rustenberg, and they were all personally welcomed by the King of Bafokeng. 4 June: England captain, Rio Ferdinand damaged his knee ligaments at the end of the first training session and was ruled out of the tournament. David James missed training with a slight knee problem, but Gareth Barry took part, whilst still recovering from an ankle injury. 5 June: Michael Dawson, ruled out of the squad, four days earlier, arrived at Rustenberg as Ferdinand's replacement. 6 June: James returned to training, but there were still concerns about his knee, and Matthew Upson missed the session, because he had a temperature. 7 June: England beat Platinum Stars, 3-0, with Fabio Capello having a half-time rant at the players, following a frustrating first half. "I've not seen him like that before," Terry said. "That was the worst, the angriest, I'd seen him. 8 June: The players went on a safari trip to the Pilanesberg National Park, following their morning training session. 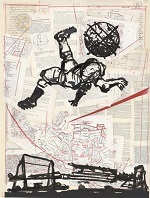 9 June: More tension at the training camp, as Capello explodes with rage, when mistakenly accusing journalists of spying on the players in the medical centre. "Of all the English goalkeeping errors down the years...this was as excruciating as any. "For a brief time...it looked encouraging for England. "Capello's team had enough chances to win the game. "Victory, in many ways, would have papered over the cracks." "...a wretched performance, in which their fear of failure could almost be smelt from the back of the stands. "...England's problem, it is abundantly clear, is psychological rather than tactical. "...with Slovenia sensing weakness, they were reliant on some heroic defensive blocks from Glen Johnson, John Terry and, finally, Upson. "...there will rarely be a better advertisement for the introduction of goalline technology. "Surprisingly for a coach with Fabio Capello's experience and knowledge, England stuck to the same old same old - a tired 4-4-2 formation that was ponderous and predictable. Penalty Shoot-out:- Barreto 1-0, Endo 1-1, Barrios 2-1, Hasebe 2-2, Riveros 3-2, Komano crossbar, Valdez 4-2, Honda 4-3, Cardozo 5-3. Penalty Shoot-out:- Forlán 1-0, Gyan 1-1, Victorino 2-1, Appiah 2-2, Scotti 3-2, Mensah saved, Pereira miss, Adiyah saved, Abreu 4-2.